Looking back through my years of training, I realize there was a lot that I didn’t know. Back then, you probably couldn’t have told me otherwise. I was training for local bodybuilding shows, and had taken a vast interest in training and nutrition. I was currently at Purdue University studying Health and Fitness, so I thought my academic work as laying a great foundation and that much else was just icing on the cake. They always say hindsight is 20/20, and this is no different. Here’s five things that I wish I had known five years ago. Looking at this list, I could have easily abandoned many of them. I will tell you that currently I am taking many of the supplements listed above, but many are combinations of products together and I also have an amazing supplement sponsor, NutraBio (which changes things a little bit). Basically I wish I would have just spent more time focusing on whole foods and my peri workout nutrition (something I emphasize heavily with my clients). Supplements are meant to be exactly that, something that can supplement your current nutritional strategies. Things like protein, creatine, and fish oil are wise choices. Pre workouts, CLA, weight gainers, fat burners, BCAA’s – these are all “extras”. The reason I’m in favor of protein is mainly for convenience sake. Slamming a shake immediately post workout is just much easier than having a chicken breast with you at the gym. They also make good meals on the go if you need to have a quick snack (which I usually did with class schedules). Creatine is just cheap and has had more research done on it than any other supplement. It’s tried and true, and for the cost, it’s certainly worth it if you’re looking for increasing your performance in the gym. I also highly suggest fish oil due the lack of high quality omega threes in the American diet. The inflammation help, blood lipid profiles, and possibly increased insulin sensitivity is just well worth the minor cash need to take a few pills per day. Essentially I was just throwing a lot of my hard earned, part-time, minimum wage paying money on supplements I didn’t NEED. Find the bare minimums that you need to see results, and call it there. After all, what more of a percent increase is glutamine going to give you in terms of recovery and performance if your nutrition is made up of junk? What ever it is, it’s negligible compared to what you could get from a well timed, high quality food around training. 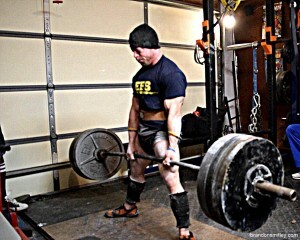 When I started training, I avoided the deadlift like the plague. Most of the material I had read emphasized that the cost to benefit ratio just wasn’t there for an aspiring bodybuilder. This couldn’t be further from the truth. For those that are pro level guys (and girls), I can see this reasoning. Their careers are based upon how they do at shows, and they can be winning some big cash. A low back injury could sideline them for months, or even years, costing them not only money, but years off their progress. For anyone else, it should be a staple in your training programs, regardless of goals. There are just way too many benefits from deadlifting to not do them. Now, you don’t have to use a straight bar, even a hex bar, or low rack pulls would be better than nothing, but of course, I was indeed doing nothing. 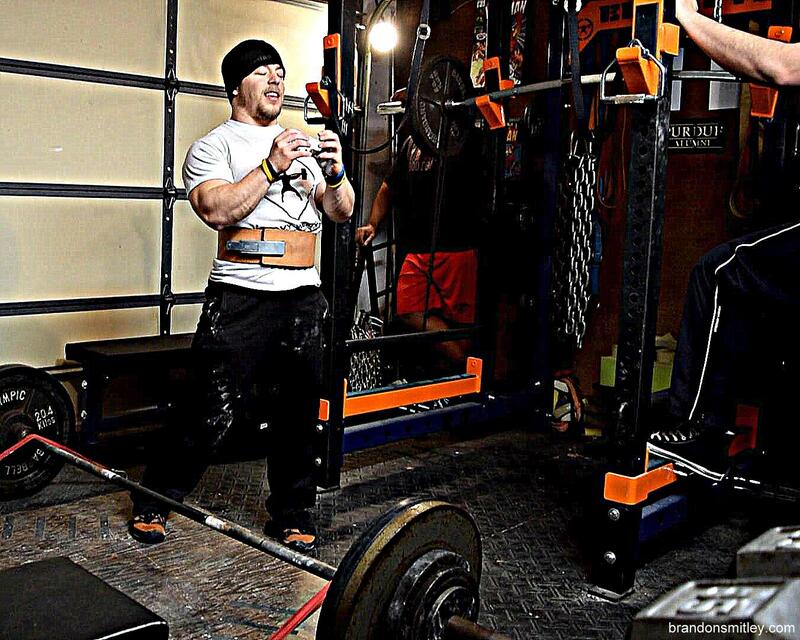 The development of the back, glutes, and hamstrings is just accelerated drastically with this one movement. It packs slabs of muscle on frames at a quick rate, that would be hard to do with just isolation work. Plus let’s face it, you look more like a badass. Maybe this is why I still hate the deadlift to this day, as I’ve probably only been deadlifting more than 400 pounds for five years. 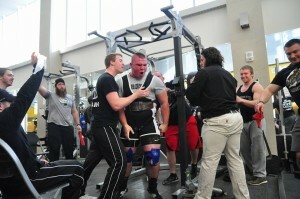 Hell, I squatted 400 pounds before I deadlifted it, which for someone of my size and stature is a pretty bad imbalance. Just ensure that you do your research and learn how to technically get things right from the get go. With the internet these days, the resources and coaches available is pretty easy to get this done. Coming up in college, I was on my own entirely. I had no one to teach me how to do things correctly. Everything I knew in terms of technique came from a high school weightlifting teacher (who also coached track and field). I’m very thankful that he actually knew how to train and work with athletes. We learned how to perform most basic movements pretty well. But after high school, I was off to train and figure things out on my own, which resulted in me picking up the fitness magazines to get my education. I wish I could have had a resource and support system to fall back on. I was fortunate enough to develop a group of friends to train with in the recreation center, and that definitely helped. However, I wish I would have had a coach or system that had “been there, done that” for a few years at a minimum. This is what aspires me to work with and coach Purdue Barbell, as this support system has helped develop a great group of people to seek their best and be on the right path at an early age. They have teamwork, support, education, and relationships that will not only help them be better lifters, but better professionals in their careers down the road. When I was training, I was always looking for the best split and the best exercises to bring up certain bodyparts or qualities within my frame. At barely 140 pounds, I spent way too much time focusing on minutia things that really didn’t have a huge carryover to my time invested. I was combing ideas from different programs and magazine articles and not really focusing on the main thing that really mattered – just working hard! This isn’t to say that I didn’t work hard, I definitely did, but the angle of a certain incline isn’t going to bring my chest out any more than another. All programs, regardless of goals should have the basics instilled: squat, hinge, push, pull, loaded carry, brace, and single leg work. If these movement patterns are in your program and you’re always trying to improve them, you’re going to get stronger and bigger, period. And while my programs did have these things, I just got caught up in the little things much more than I needed to. This point can piggyback off the supplementation aspect, but really I want to take it a different direction. When I was doing my bodybuilding shows, at first I was worried about trying to stay super lean all the time. As a 20 something college kid, of course I was. I wanted to get girls and get laid just as bad as any other horny college kid and I thought that this would improve my chances. The real truth of the matter is, it didn’t make a damn bit of difference. From a competitive standpoint, it did help to start a cut being leaner, but at my level, it really didn’t matter. There was a point that I realized this, and this is when I started taking an interest into powerlifting. And guess what I did? I stopped worrying about being super lean, and focusing more on just building good muscle size and eating ample food. There was a stint where I was eating a Jack’s pizza, a chicken breast, and half a bag of vegetables every night for dinner. During that time frame, I went from 140 pounds to 150 pounds. It was nearly impossible for me to keep my bodyweight up there unless I ate like this. Initially I was definitely softer, but my as my body got stronger and built more muscle tissue, I got leaner and my body adapted. I did this for probably 6-8 months (almost a whole school year), and it was the best thing I ever did. I finally deadlifted 435 pounds, and squatted 405 off a box. Nothing great, but it was much more progress than I ever saw trying to stay lean. In addition to this, it helped me get rid of the “cutting and bulking” phases. I was just eating to be strong and big. I didn’t know when I would compete for the first time, as I couldn’t find a meet in the Indiana area, so I knew that it wasn’t important. If you spend time cutting and bulking during your younger years, you’re seriously hurting your ability to put on as much strength and size as possible at a young age, when your hormones are going to help you grow like a weed. Essentially there were a host of issues that I wish I wouldn’t have made five years ago in regards to my training and nutriton, but looking back, these problems that I had taught me a lot. Not having someone there to teach me and coach me through what I needed to be doing, was probably the best route that I had and worked out for the best. But had I known then, what I know now, could have saved me time and possibly sped up my progress. Experience can teach you a lot, even if it’s not ideal, but when you have the ability to learn and take advice from someone that has been there, I can’t recommend it enough. If you’ve got someone that is guiding you and has prevented you from performing any of these mishaps that I made, be thankful you’ve got a good person in your corner, and give them a thank you.